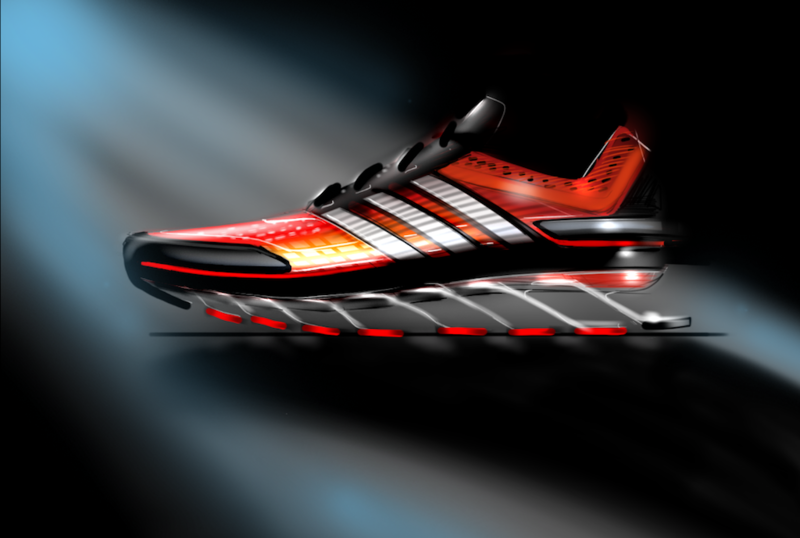 The finished products you see on the shelves at your local Finish Line are not always exactly what shoe designers had in mind when they started producing them. Like all things in life, the shoe-building process is an evolution. 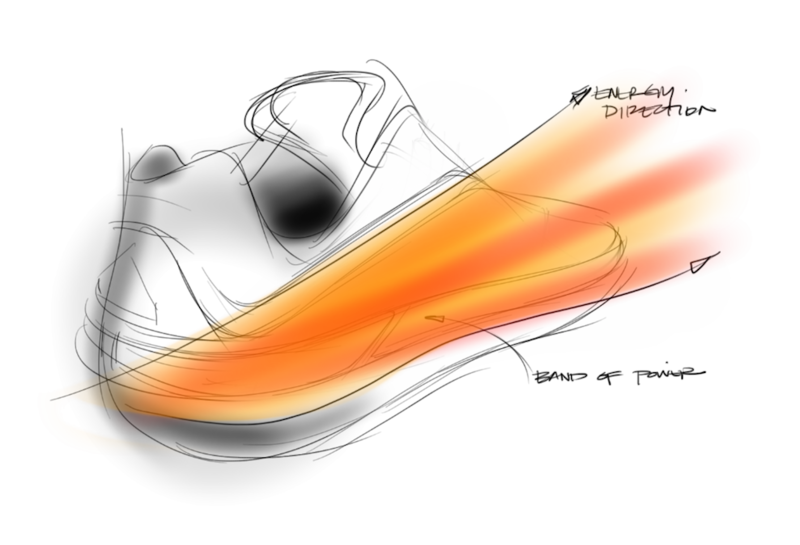 To put in simple terms, it starts with a concept, then a sketch, and several refining processes later, it becomes a perfected shoe ready for wearing. 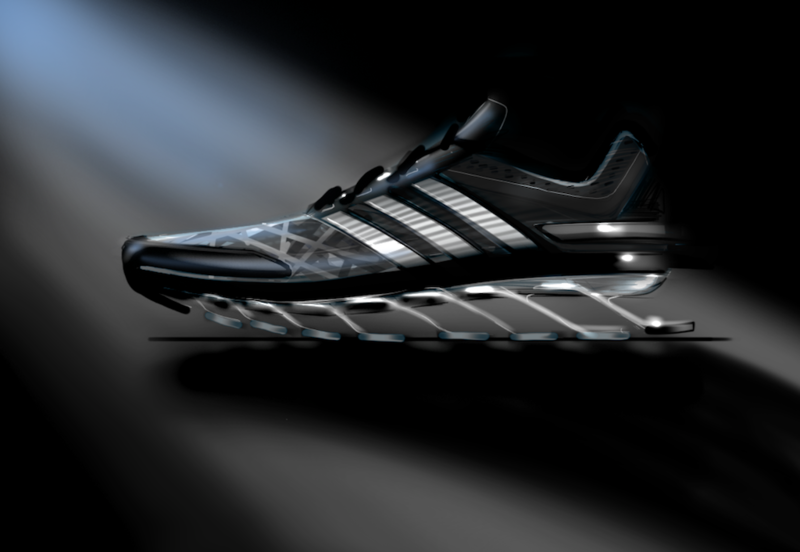 You can imagine with a product like the latest revolutionary Springblade from adidas, during the time from the idea stage to the final stage, there were several versions of the shoe. 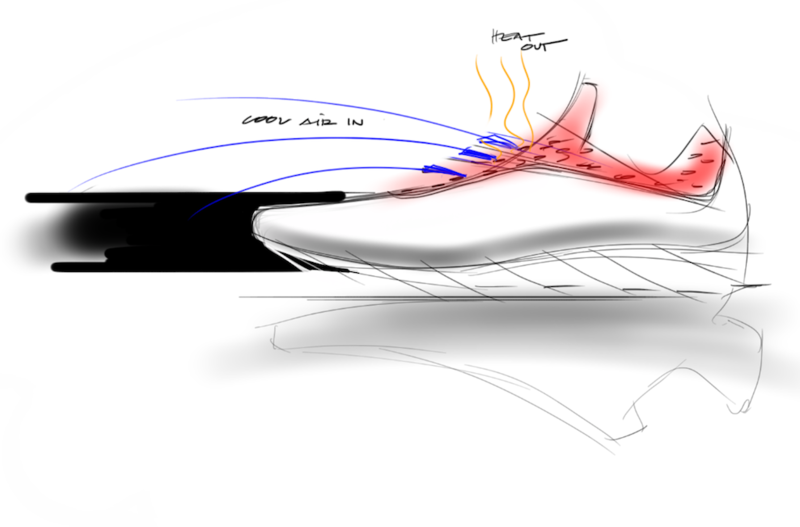 In anticipation of the August 1st launch, adidas released a few sketches and renderings for all of us to check out, so we can see just exactly what was behind the shoe-building brains.